That’s what the delightful invitation I received a few weeks ago read. 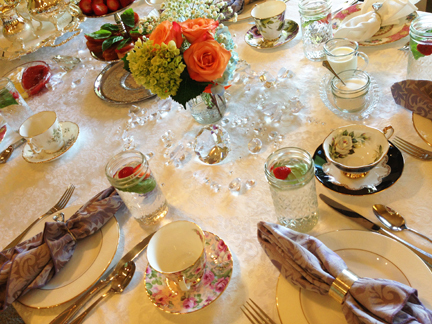 The first thing I did was an excited little dance at the prospect of going to a bridal shower for my friend’s daughter and attending a tea party. One that required a Victorian hat. 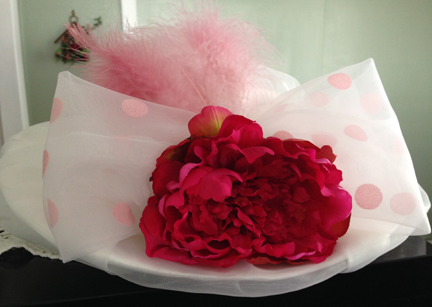 I set about fashioning a hat using a bridal hat for a base. I couldn’t find any colored feathers, so I used a mixture of food coloring and vinegar to die a few white ones. They turned out perfect! 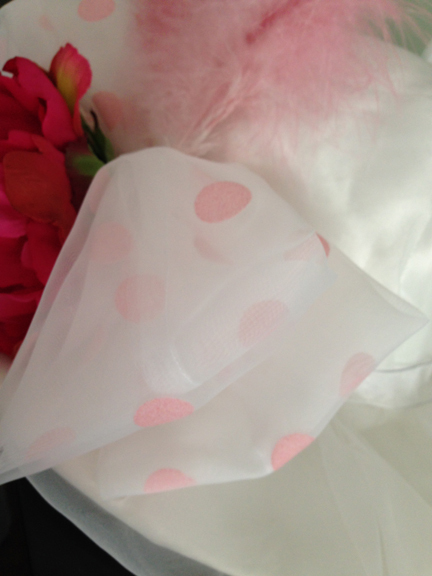 I think my favorite thing on the hat is the polka dot bow. I used a length of organza to sew a long strip then crimped it into a bow and sewed the middle together to hold it in place. With my hat done, I was ready to party. And, oh, what a beautiful party it was. Guests walked in the door to find this absolutely amazing table. 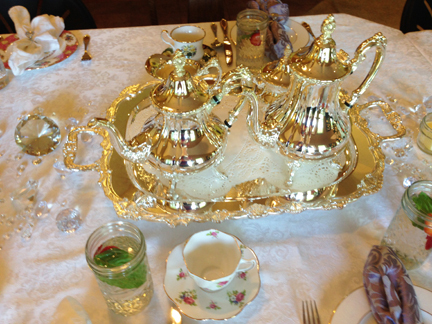 Complete with silver service, lovely tea cups and decadent treats. I did mention the treats, didn’t I? There were scones with lemon curd, strawberry jam and cream. 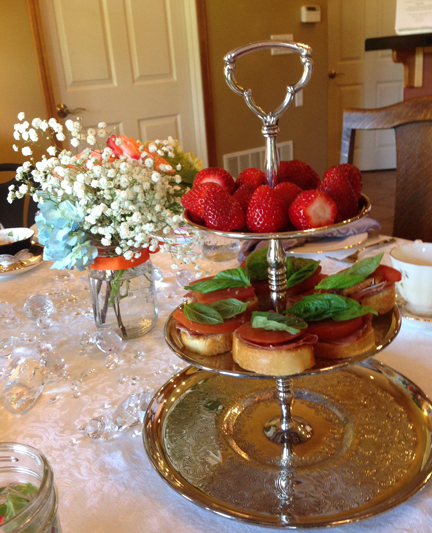 We also enjoyed finger sandwiches, sweet strawberries, lemon tarts, and, of course, tea! 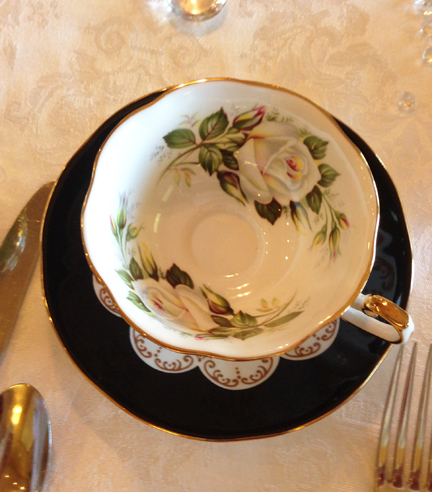 I was in love with this tea cup. Just so pretty! 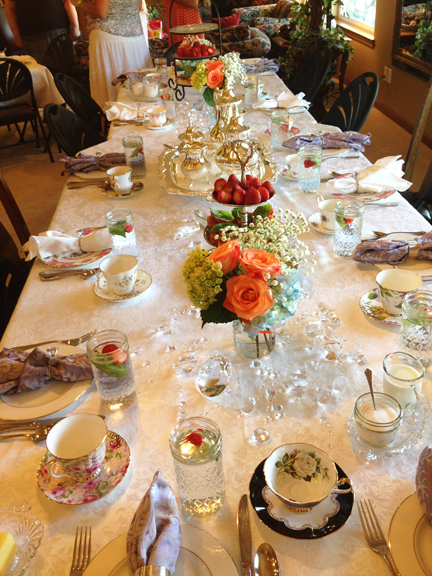 It was a blissfully wonderful way to celebrate a bridal shower. In addition to the delicious food, we enjoyed a few games, laughing at each others’ hats, and watching the bride-to-be open her gifts. 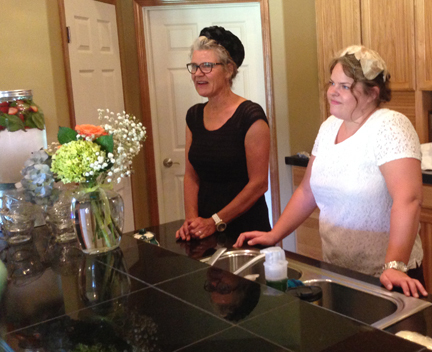 A huge thank you to our beautiful hosts for creating such a fun afternoon! You two outdid yourselves! And congrats to L – may you have a long, happy life with your sweetheart! What fun it must have been for everyone at the tea party. I’ll have to keep it in mind in case I am fortunate enough to host one myself. Clever you, dying those feathers. 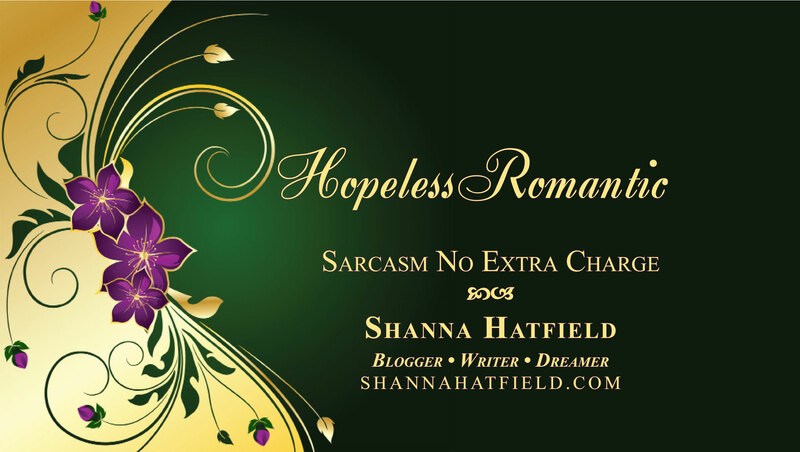 I would have been afraid that they would clump together and be a mess. Your hat was lovely and the table very inviting. I love teacups too, never seen an ugly one yet. Well now, back to The Christmas Cowboy audio. Loving it!